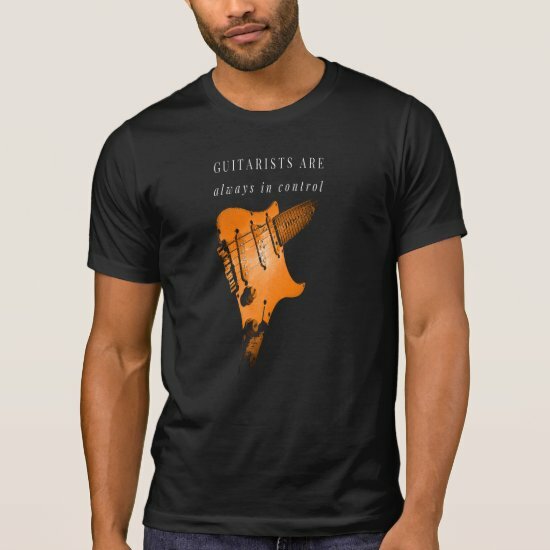 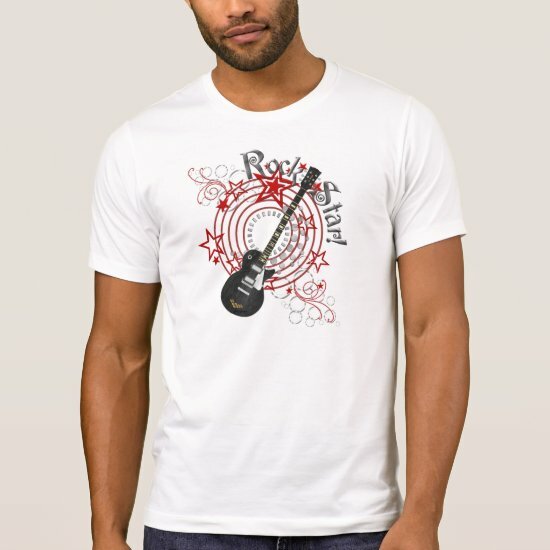 Music themed t-shirts for aspiring musicians, DJs or music lovers featuring electric guitars, drums, piano keys, headphones and mixing tables and much more. 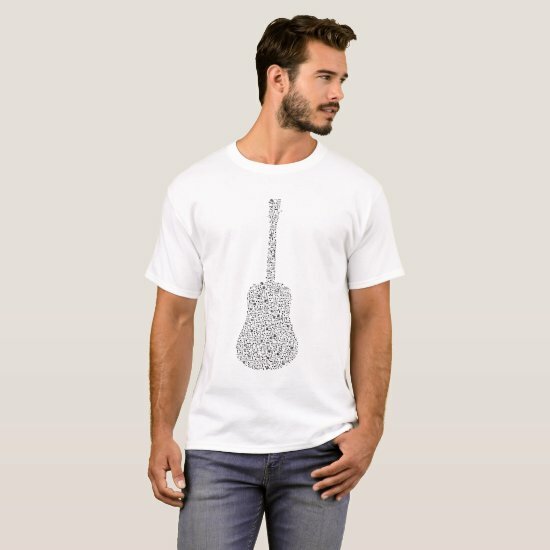 Each design is available on a range of t-shirts, including different colors and styles to those shown below. Sweatshirts and hoodies are also available! theme with a Keep Calm and Rock On motto. 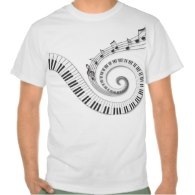 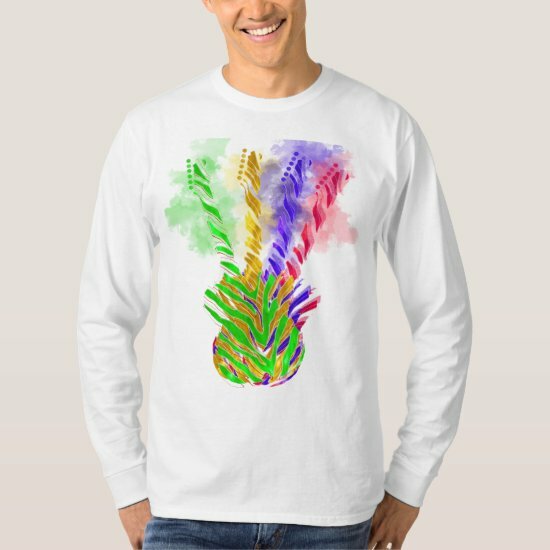 Piano keys and musical notes feature on this music t-shirt with the piano keys swirling into a coil and music notes floating away from the center. 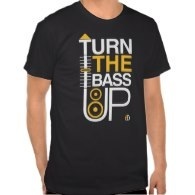 For anyone who loves the sound of the bass in their music, this eye-catching t-shirt has a typography design which says, "Turn the Bass Up". 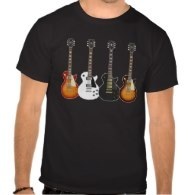 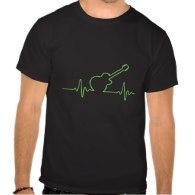 A t-shirt for the electric guitarist or guitar lover, featuring four different electric guitars line up in a row. 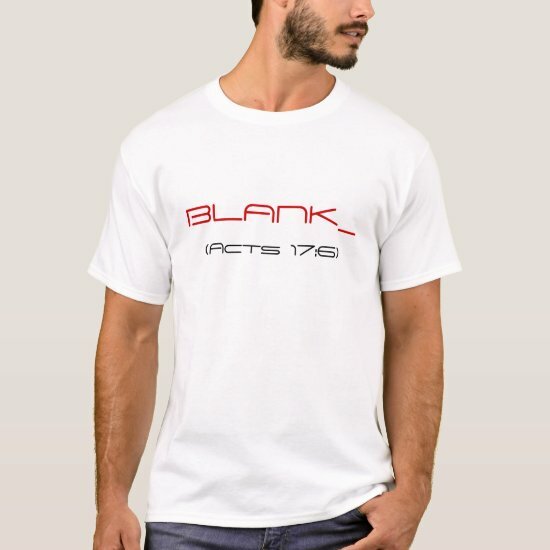 Simple yet eye-catching! 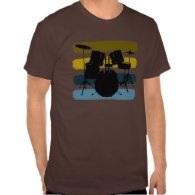 this cool drumming t-shirt features a black silhouette of a drum kit on painted stripes in four different colors. A fun t-shirt for the aspiring deejay featuring the letters DJ with headphones and cord. 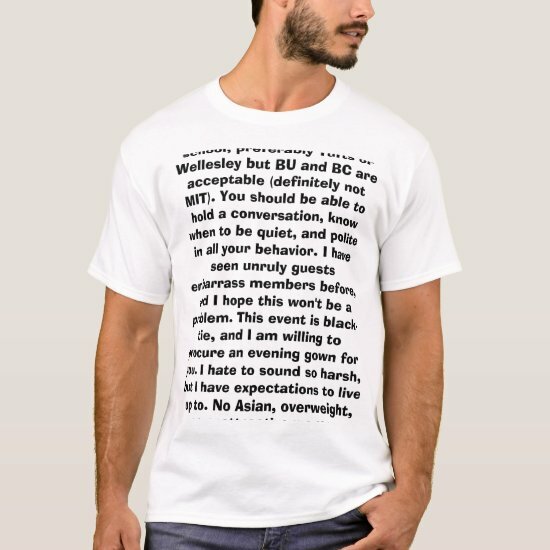 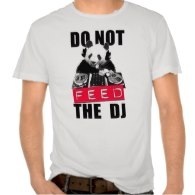 The text can be customized for the DJ in your life. 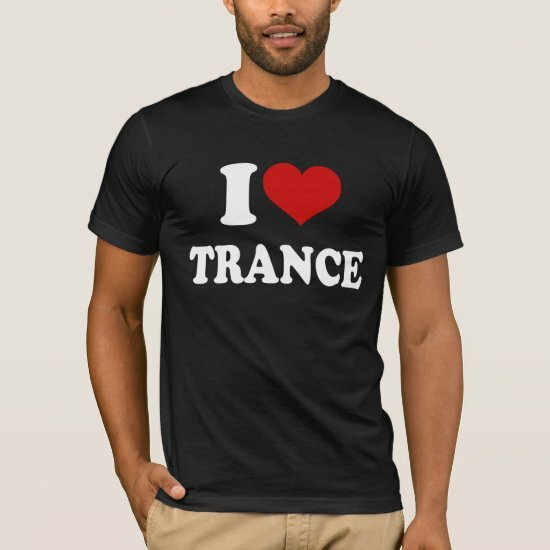 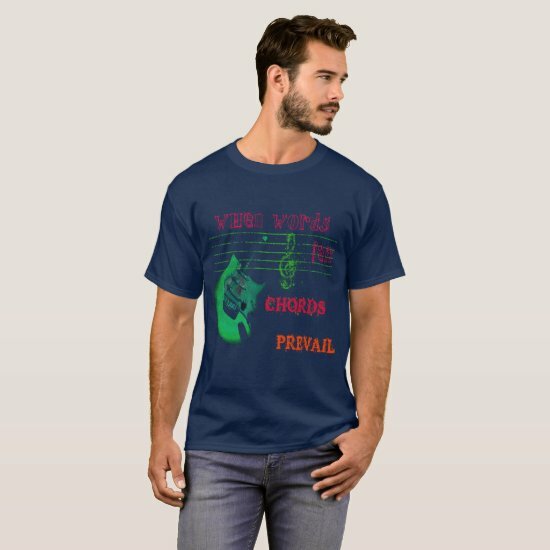 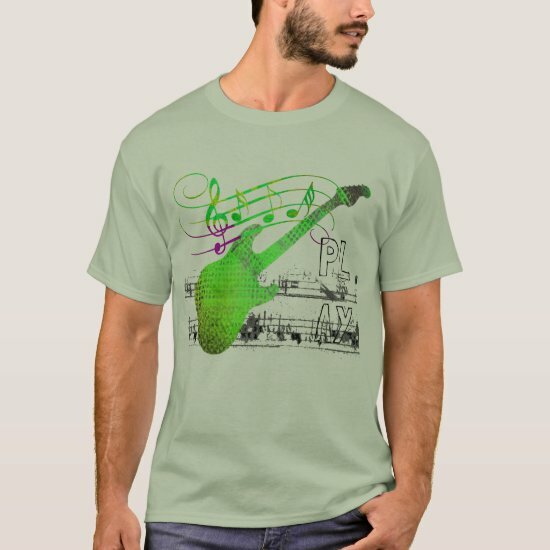 A collection of some of the great music t-shirts available. 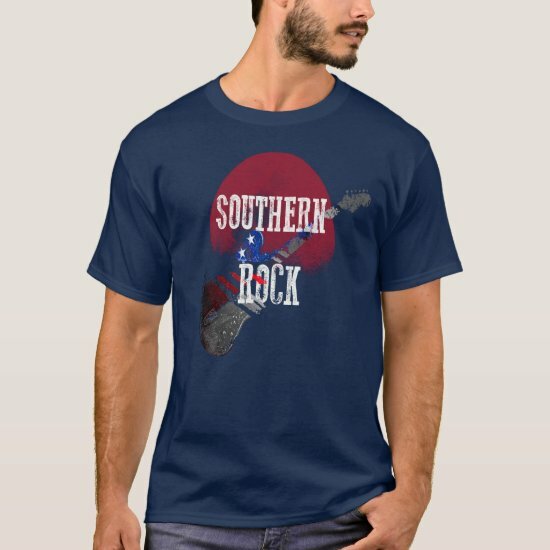 Skulls with headphones, old rockers, musical instruments and more feature on some of the t-shirts offered below. 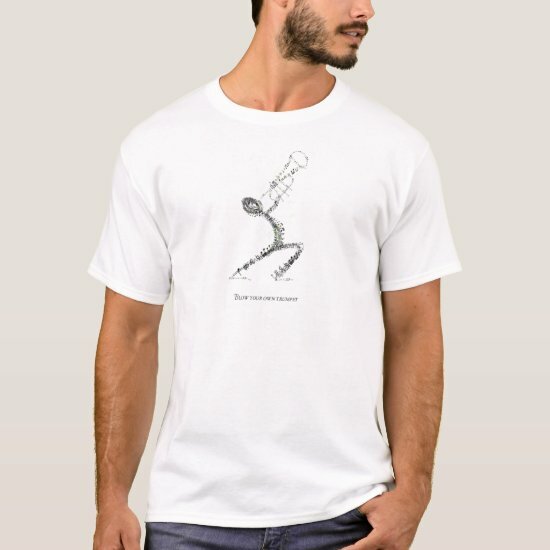 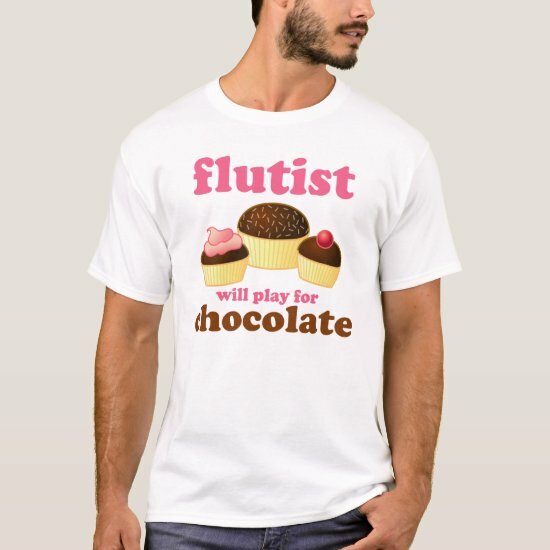 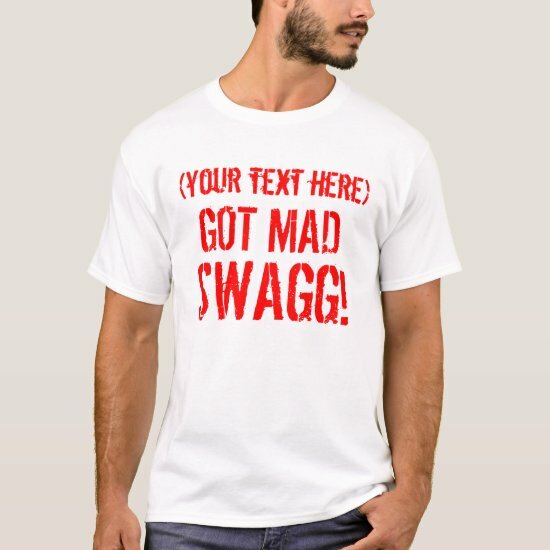 Funny music t-shirts, with witty musical themes, are also featured below.